For over a hundred years, Hungarian families have been decorating the Christmas tree with a decorative candy called Szaloncukor (szalon meaning parlour, and cukor meaning sugar). For most Hungarians celebrating Christmas also means a hunt for the best Hungarian szaloncukor. But why is it a special candy? 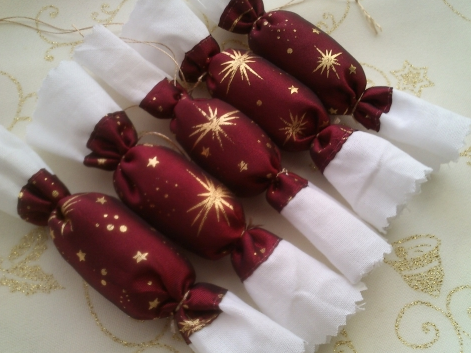 It is certainly the most traditional Hungarian Christmas sweets, a gift and a decor in itself. Szaloncukor is the Hungarian Christmas Fondant. It is easy to carry, not so expensive to buy, and makes a good Christmas gift if you are visiting Budapest in winter time. You can also try them before just buying them to make sure that you really love what you give as a Christmas gift from Hungary. Szaloncukor is made of fondant, then covered by a thin chocolate layer (or not, but most of them are), and then wrapped into a nice, Christmassy paper or wrapping sheet with a special shape. The oval shaped fondant candy keeps its ovalness, and the szaloncukor as a whole has a bow tie shape with two frilly ends. More traditional szaloncukor candies were wrapped in real paper and the frills were made of a very fine flimsy paper of a distinctive color. These days, the Christmas candy comes in shiny wraps. The Christmas fondant candies are not so fondant any more. The Xmas candies come in dozens of flavours. 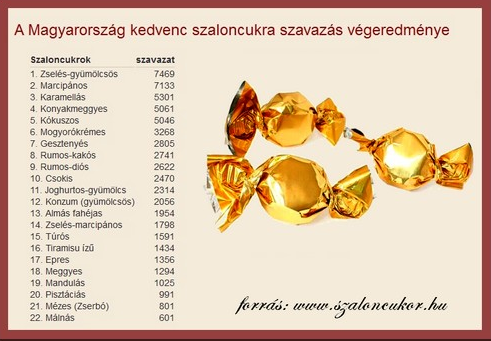 According to a recent vote on the best szaloncukor makes in Hungary, the top two manufacturers are Stühmer (Stuhmer Korfu got tons of votes, it is made of honey, egg white, frappe and covered in dark chocolate) and Szamos Marzipan fondants (made of marzipan of course). But Szamos can be enjoyed. Excellent sour cherry variants. the marzipan is filled with a sour cherry cream (slightly alcoholic). Expensive approx Huf 4,600 / kilo, but high end szaloncukor boxes can cost as much as HUF 8,000 / kg too (e.g. Stühmer’s luxury fondants). Szamos marzipan szaloncukor are tasty and great value, their price range is around the same as the well known Milka branded szaloncukor fondants. Milka is the market leader in the milk chocolate Christmas candies with hazelnut filling, which are quite sweet. You can also try a much cheaper local Christmas fondant candy branded as Norbi. Norbi is a Hungarian fitness guru who is a great divider in Hungary. He has a range of products, foods, meals etc which are supposedly healthier products with fewer calories (e.g. Norbi update mustard, Norbi update ketchup, etc.) He even has a good and very popular lunch diner selling very cheap Hungarian meals as lunch menus. Norbi Xmas candy is not top tier szaloncukor but a good value option. 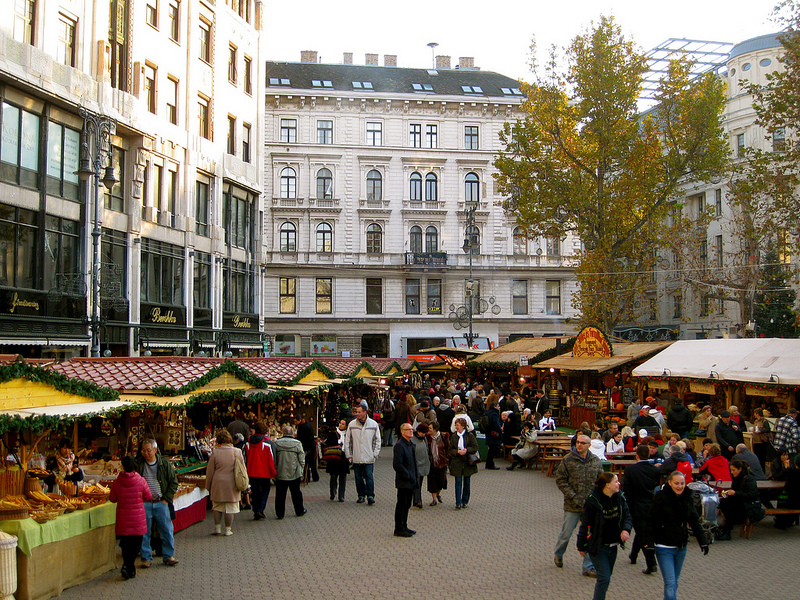 Where can you buy Hungarian Christmas Sweets? Szaloncukor, the traditional Xmas candy is sold all over Budapest, in every shop and supermarket. But Supermarket brands are for decor only. You have been warned. In addition to grocery stores and supermarkets, you can buy the specialty szaloncukor brands in the brand shops, like the Szamos shop by Vorosmarty Square (Szamos Gourmet House, right next to the Christmas market on Vorosmarty Square), or Stuhmer shop in Budapest in Pozsonyi Street, District XIII (Stühmer Bolt). Szaloncukor the fondant candy is a seasonal product, so you will only find it in Budapest from October to January, definitely not in the summer, sorry. Many tons of Christmas fondant candies are sold all over in Hungary before Christmas, and then what is left after Christmas is often sold at a reduced price. 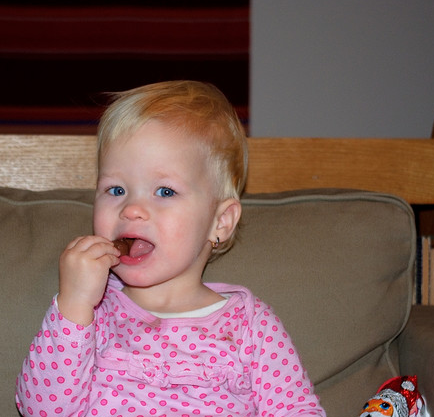 They do not store well for a long time, which is a good sign usually that it has not been full of preservatives. The prices of szaloncukor boxes are quite high, as if you were buying handmade chocolates: in general the average price of good quality szaloncukor is approx. HUF 4,600 / kilo. The boxes come in all sizes, some of them are quite decorative and good for storing little tid bits in them. Make sure you only buy szaloncukor fondants in a manufactured box, as these candies have been tested. At some of the Budapest Christmas markets, you can buy fondants by the kilo, but these candies may not have been tested, so it is better not to risk your health, especially if you wish to take it home as a small Christmas gift or souvenir from Budapest, Hungary. 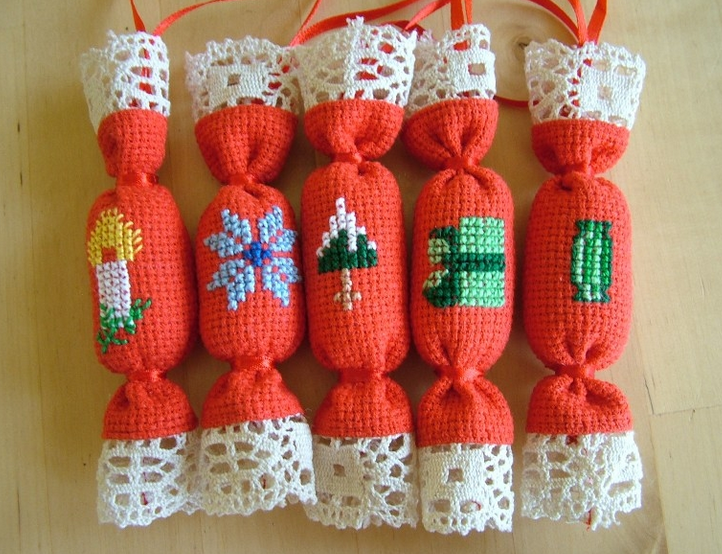 Many families hang the szaloncukor fondants on the Christmas tree, and place a basketful of them on the Christmas table. Still, somehow a szaloncukor taken from the tree tastes better. Hungarian children develop a special skill to make the Christmas candy wrap look as if it had been untouched, still full (parents cannot guard the tree well enough, so this usually develops into a traditional family game, who is ‘stealing’ the sweets from the Christmas tree, who is eating the candy after cleaning teeth in the evening, etc.). You can also buy little metal hooks to pierce the paper of the szaloncukor so that it is easy to hang on the Christmas tree. Other families take a thread and make a string of szaloncukor as a decor on the Christmas tree. 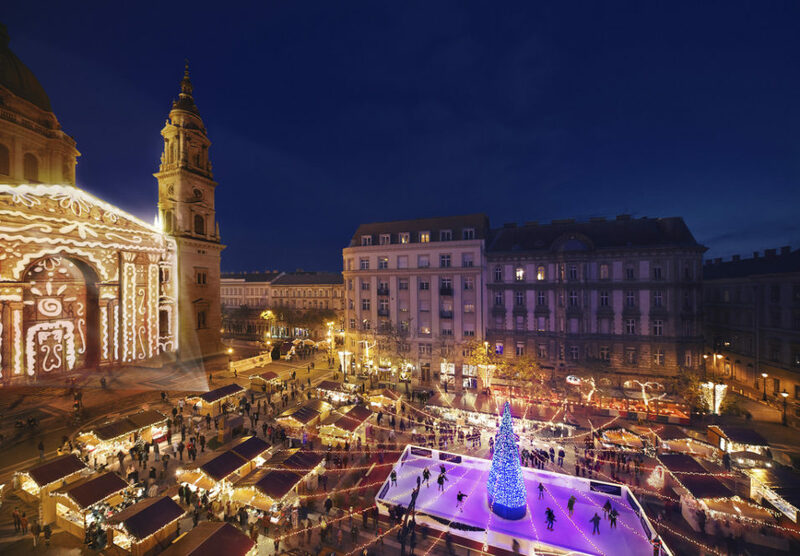 Nobody knows for sure how the special Christmas candy tradition started in Hungary, but one thing is sure, it wasn’t until the late 19th century that it started to be part of the Christmas celebrations. 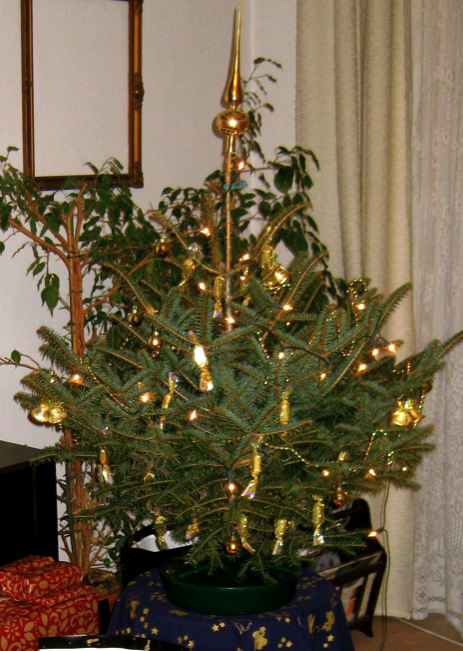 Hungary was part of the Austria Hungary dual monarchy, when the richer Hungarian noble families had nice parlors (or salons) to erect a Christmas tree (often for each child) and put up Christmas decor on the trees. Amongst them Salon sugar (szaloncukor), which were handcrafted from soft fondant with added flavors. The candy most probably came to Hungary via German sweets traders and makers (fondant was originally made in medieval France). One of the most popular Hungarian novelists, Mor Jokai called them Szalon czukkedli, which also shows that the name of the candy started off as a borrowed word from German. It was only years later that the top Hungarian sweets manufacturers of the 19th century started to make the szaloncukor candies by the kilos. The easy production and delicious flavors made it and instant success, so many Hungarian families started to buy them from Cafe Gerbeaud and from Stühmer (both still in production). 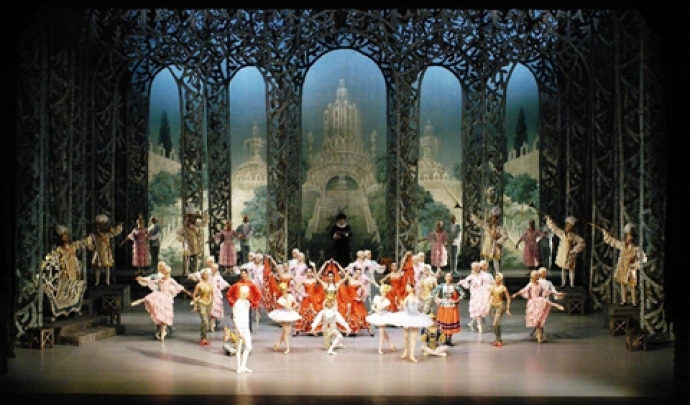 Budapest led the fashion, but the tradition of szaloncukor fondants were quickly picked up by families living outside Budapest. These days it is very widespread, from small villages to the Hungarian capital. While fondant was typical during the Socialist era, after that, since 1989 the fillings have been made from all sorts of exquisite chocolate bonbon fillings. So we may as well call them Hungarian Christmas truffles, festive bonbons, silky smooth winter sweets.